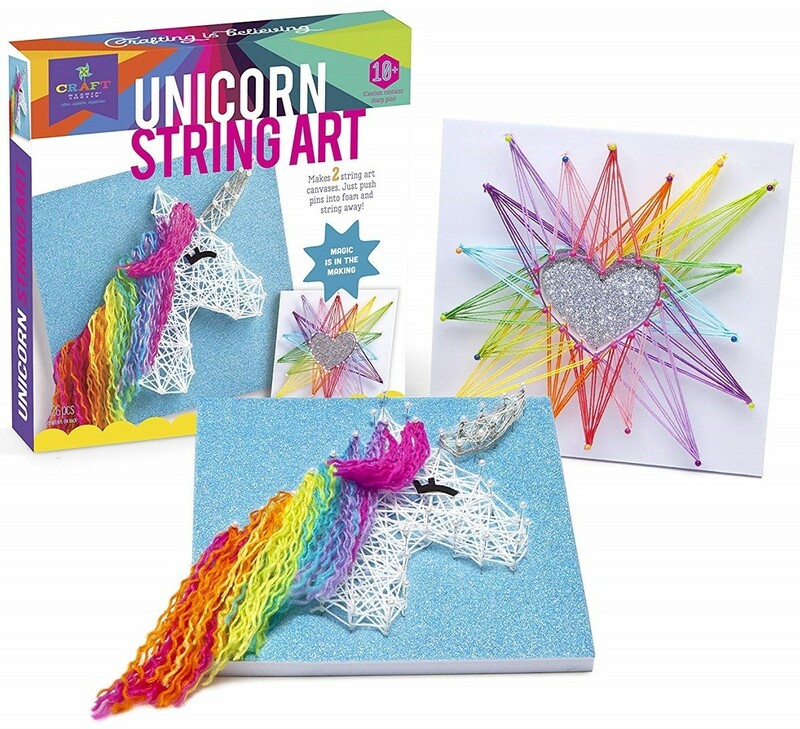 Create colorful string art with this kit from Craft-tastic! 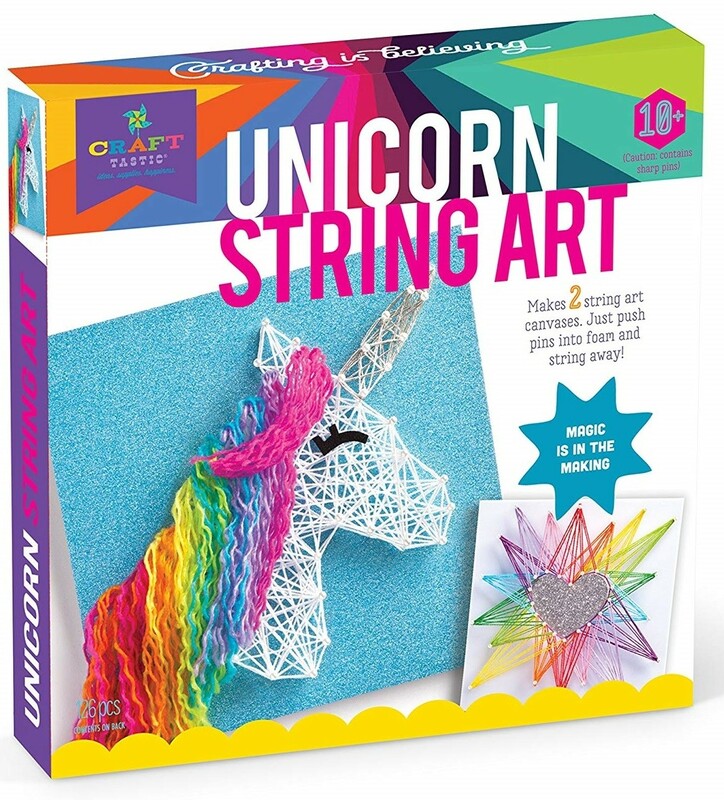 This kit includes two 8.5" sturdy foam canvasses pre-printed with a unicorn and a heart design. Using easy-to-follow directions, kids simply push pins into the bases and string away. 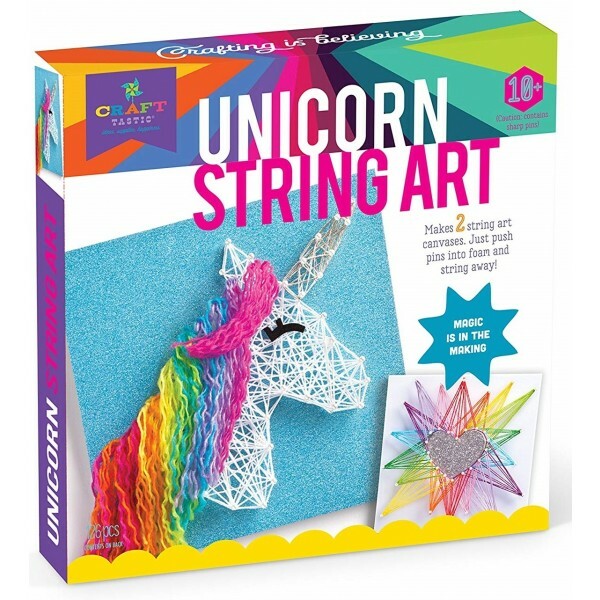 More than a traditional string art project, the Unicorn String Art Kit includes glitter paper and yarn to allow kids to express their creativity even more. Or they can stretch their imagination and design patterns of their own! When done, kids will have artwork they will be proud to display for family, friends and others to enjoy.